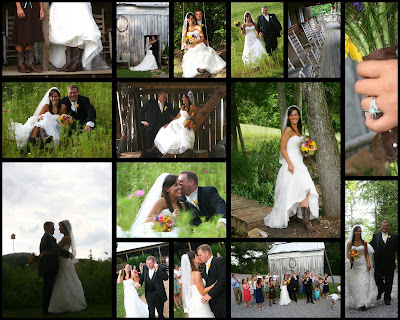 Raelynne and Ryan came up to Sampson's Hollow in Walland with their closest family and friends for their wedding. It was a country wedding in the most gorgeous place - Sampson's Hollow. The ceremony was small and intimate and just so wonderful. Everyone seemed to really enjoy the grounds and we even were able to get a group photo of everyone in attendance. Raelynne and Ryan were great and I had a great time trecking through some wildflowers and all around the farm.